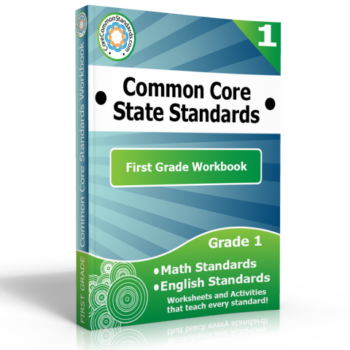 This First Grade Common Core Workbook is the largest collection of resources for teaching the Common Core State Standards. 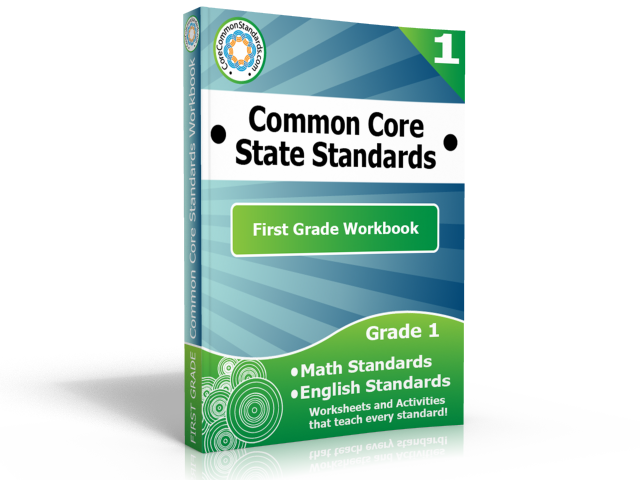 This workbook download includes over 550 pages of Worksheets, Activity Centers, and Posters that teach all the First Grade English and Math Common Core Standards! Answer Key also included. 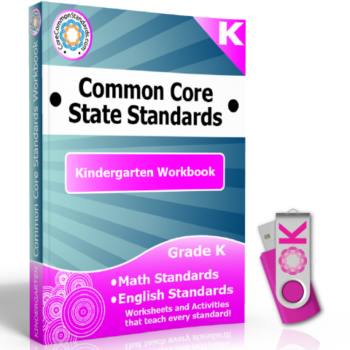 This Workbook download will be emailed to you shortly after you place your order. WOW! This is truly incredible. 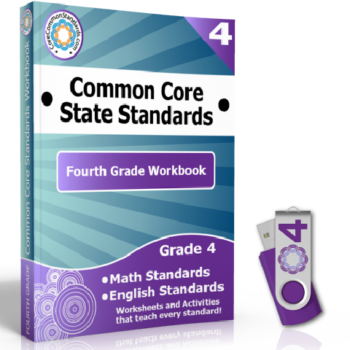 I see a lot of things that I can do with my students using this workbook. This is absolutely magnificent. 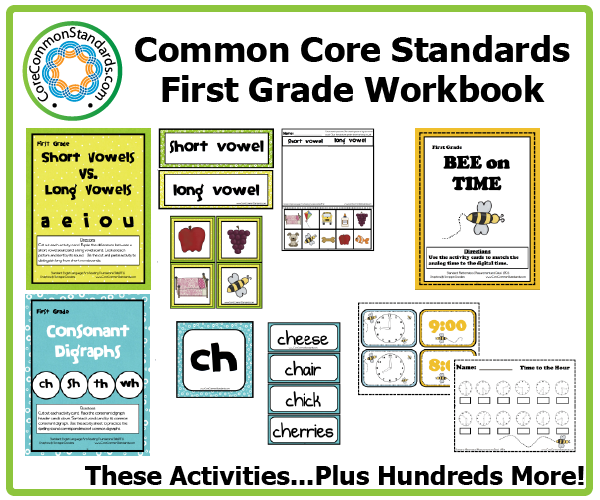 I love that the graphics are kid-friendly, the graphic organizers are wonderful, and there is a wide range of literature used! Thank you so much! 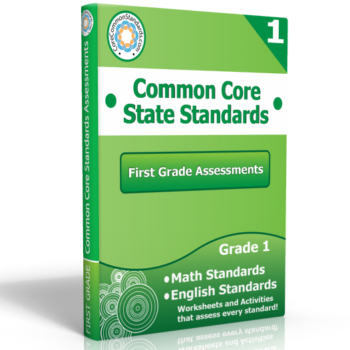 I am so excited about this First Grade Common Core Workbook. 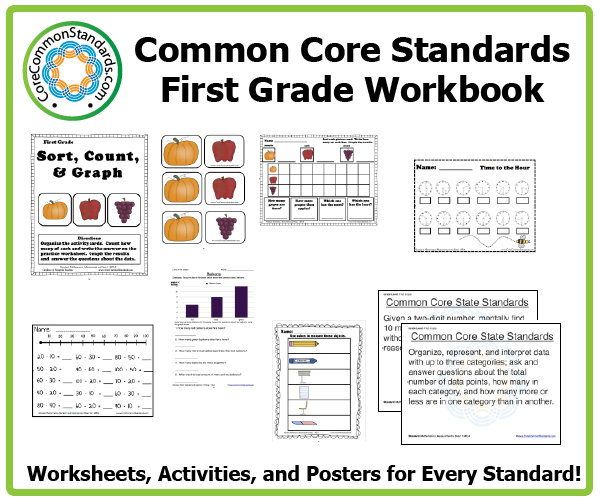 I love how there are models for the kids, hands-on activities, and also their own worksheets to complete. 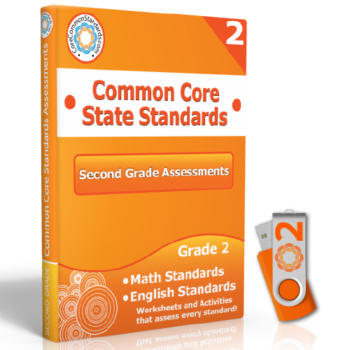 It’s very user friendly and has lots of worksheets you can use for homework and independent work. 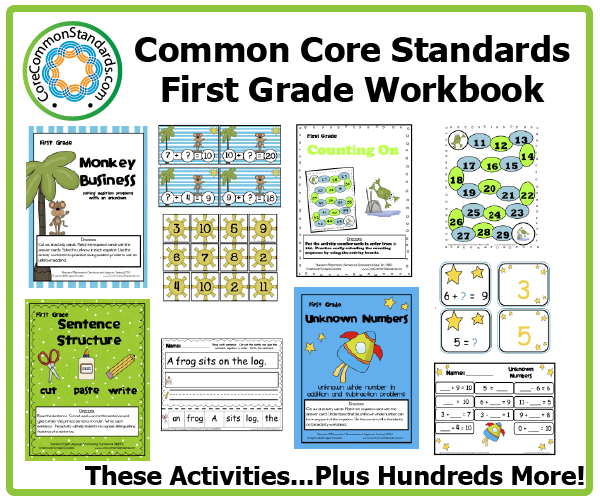 The workbook has cute graphics and I look forward to using it in my classroom this year! FANTASTIC! Love the many hands-on activities! The graphics are great too…very kid friendly. I bought the Kindergarten Workbook and was afraid the First Grade Workbook would be similar. Though they have similarities, they are totally different. Love the many task card questions! Thank you So Much!! !